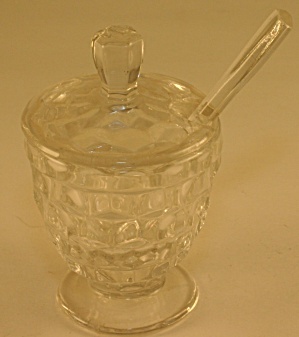 Mustard with spoon from Fostoria Glass' long-running line, "American." 3 3/4 inches tall. Spoon 4 inches long.